Shine On Haiti is a proud co-founder of La Reference's Community Arts & Technical School (CATS), which offers music lessons and other learning programs to the public. We deliver new and used musical instruments, donated by individuals and organizations, which are used by the CATS program, as well as the school's band. We plan to expand the CATS program to other towns throughout Haiti, with our next program targeted for Mirebalais. A small group of young adults are leading the way to change their country, which has been riddled with oppression and natural disasters. They realize by teaching skills to the children and adults in their communities, they can return this Caribbean island to one of beauty and bounty. In Ganthier, three brothers and eight friends have grown a combined junior and high school to 225 students by going door to door with flyers. They rely on music, arts and Jesus to promote encouragement and change in their students, ultimately promoting encouragement and change in their communities. 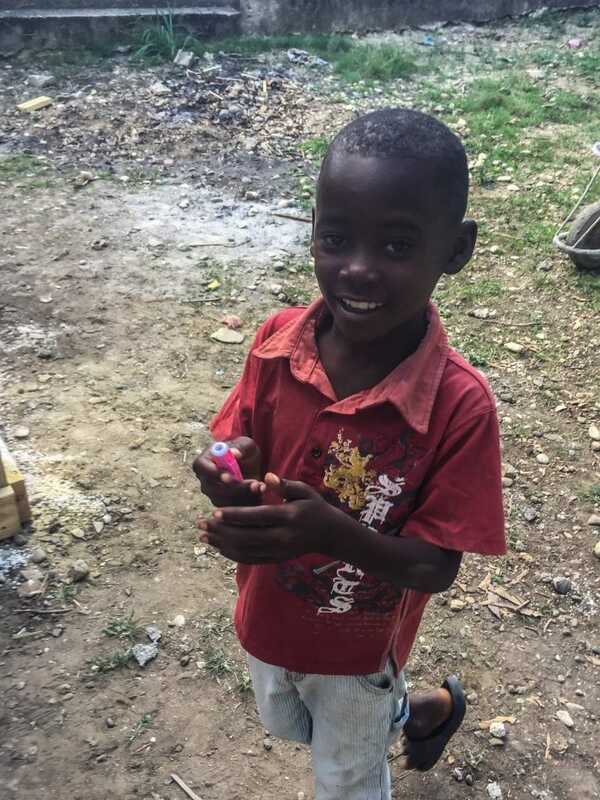 In Mirebalais, a young Pastor and his wife, Rodney and Ester Jusme, along with their HOME team are readying a beautiful gentle sloping campus for ministries, soccer, lessons and other activities for groups and individuals. This brigade is sponsored by the U.S.- based organization Luke 101, led by Wendy Zehner and Stacey Trainer. In addition to securing funds for each project and resource, they organize and facilitate mission trips for groups all around the U.S. to help Haiti. Just up the road, some of the town's poorest children are receiving a free education, along with a uniform and daily hot meal. The happy 3-story building is nearly complete, playground and all, but the daylight-only rooms have already been an active learning site for 600 elementary and middle school children. Each child is 100% funded by someone else, in the amount of $40/month. The Haiti Free School Project is sponsored by BC Canada-based Southside Church and managed by Steve Johnson. Champs in Haiti is led by Terri Sanneman and Kay Anderson. They take teams of doctors and nurses, carrying overstuffed bags of 1,000+ pounds of vitamins and drugs, and provide much needed medical services to people in remote villages. In a span of five days, they typically treat around 1,500 people for funguses, infections, stomach disorders, hypertension, skin burns, pains and other ailments, and referred many for surgical consults. Local Haitian dentist, Vava Résidor, takes time away from his practice to provide dental services on these missions. On average, he pulls more than 170 teeth during a week's mission. Shine On Haiti is proud to serve with these organizations and individuals, and ask that you take time to learn more about the work they are doing and how you can help. We believe together we can help Haitians help Haiti. Together we can shine brighter. Help us help them help themselves. If you can donate a musical instrument or accessory (i.e. music stands, reeds, etc.) please contact us for pickup or shipping details. We are happy to coordinate this for you. All types of instruments are welcome! If we are unable to get it to Haiti, we will find a good home for it locally. If you don’t have an instrument but can spare $10 or $25 or $100 or a million dollars, please do so by choosing your amount below. We gratefully accept credit cards, PayPal or checks! Click “Donate Now” for options.